Federal Government To Initiate Youth Empowerment Programme As A .. Senator Chris Ngige, the Minister of Labour and Employment, says the Federal Government To Initiate Youth Empowerment Programme As A Replacement Of N5,000 Monthly Stipend. 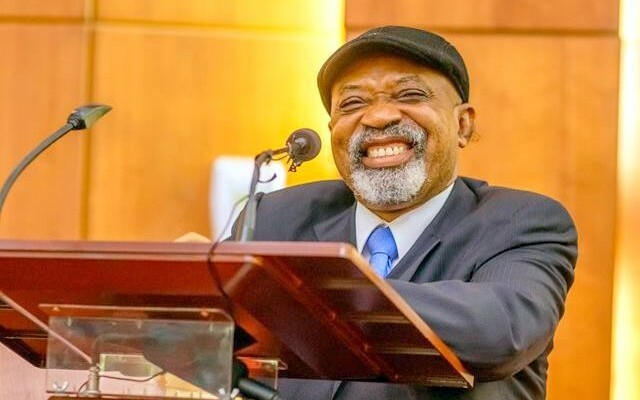 On Friday, while speaking at the special day of the National Directorate of Employment (NDE) at the ongoing 27th Enugu International Trade Fair, the minister of labour and employment, Sen Chris Ngige, said the federal government has rather initiated empowerment programmes to engage unemployed youths as opposed to giving out monthly stipends. The federal government may have concluded on scrapping its plan to give a monthly stipend of N5000 to unemployed graduates as promised by the ruling party, the All Progressives Congress (APC) during presidential election campaigns in 2015. Earlier this year, President Muhammadu Buhari expressed his dissatisfaction with the plan and said the money could be better applied to urgent infrastructure needs of the country. “Instead of paying youths N5,000 monthly for doing nothing, the government has initiated plans to engage hundreds of thousands of youths in the country with over 10 empowerment programmes. Some of the intervention programmes will be spearheaded by the NDE including Teach Nigeria, skill acquisition and community services” Ngige said. The minister added that while some of the youths would be employed at the end of the programme, others would be assisted to start their own businesses. “When you enter the programme, the person would be earning far more than N5, 000 depending on his or her input” he said. The minister said government had started taking stocks of all the skill acquisition centres in the country and would soon roll out training programmes for them. He equally appreciated the support of the private sector in the provision of jobs, stressing that the creation of sustainable employment in the country was mostly a challenge for the private sector. Switzerland Has Given Conditions For Repatriating Abacha’s Looted Fund To Nigeria. Usain Bolt Madness: Grabs Professional Photographer’s Nikon D4 Camera and takes (Good) Pictures!